Frequently during my inspections I find older homes with no GFCI protection in the bathrooms and kitchen. Click here to see just what a GFCI outlet is if you dont know. Now its not a ding on the home most times. After all the electric code changes on occasion and as homeowners we are not required to upgrade our homes every time this happens. However, it is good insurance against future accidents. 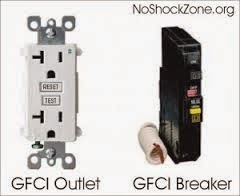 GFCI protected devices protect us all from accidental electrical shocks. 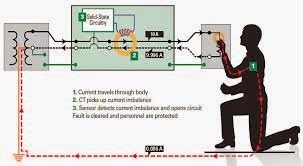 In the event we come in contact with a stray electrical current the GFCI protected device or circuit will sense that and in a microsecond turn off the power. Outside or around pools this can be a real lifesaver. As a matter of fact it is now required to have all those circuits protected with GFCI devices. Consider upgrading your home to have these outside in exterior outlets, any outlet around pools and in your homes bathrooms and kitchen. They are inexpensive and will save a life. Pre Listing Inspections, what is their value to you? Using all the good tools! Pool safety, Its your responsibility.